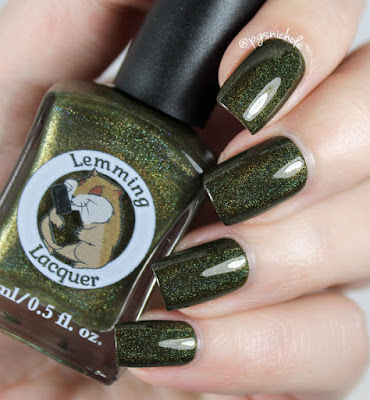 Lemming Lacquer gets me. 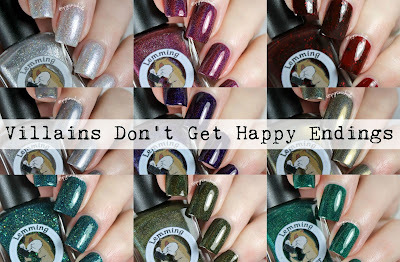 Villains, holos, and vampy thermals? Yes-freaking-please. It is like it was made for me. I was so excited to be offered the chance at a villainous collection, y'all. And I am even more excited to share it with you guys. 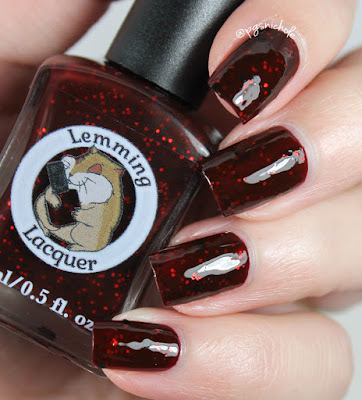 This is my first experience with Lemming Lacquer. I have seen the swatches, and added shades to my ever-expanding mental wishlist. But I finally got my hands on these, and I am so completely impressed. The formulas were stellar, the packaging was top-knotch, and the added notes were a welcoming touch. These may have been my first Lemmings...but they will not be my last. This is a seemingly fragile silvery holobomb filled with iridescent flakes, holo glitter and magic...all floating in a strong linear base. You look at in in the bottle and you think "aww, its so frilly and girly" and then it slaps you in the face and calls you names with its superultra holo rainbow. Its like a badass unicorn. I used three normal coats + Seche Vite for the pictures below...and then I crawled around my living room trying to catch a sunbeam. My cat was not amused. 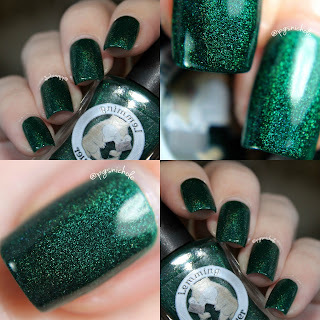 Evil Isn't Born is a cool, decadent wine holo with a slightly metallic base. It is the ultimate Fall/Winter power color. It is super pigmented, and while there was a warning about using a good base coat with all of these...I came away clean here. I used just two thin coats for these pictures plus a light layer of Seche Vite. Gin & Poor Decisions is a black cherry syrup/blood-of-my-enemies red jelly with red metallic glitter and black circles. When I first applied this, I didn't realize it was a thermal. This was actually the last shade I swatched, and I generally leave the last shade on for a bit in order to really get a feel for the polish. Then I saw a few other folks posting their swatches in the facebook fan group and I had a total omgwhat moment. I immediately ran to get a bowl of hot water and had a little fun. It is opaque in two coats and shifts nicely below a layer of SV. 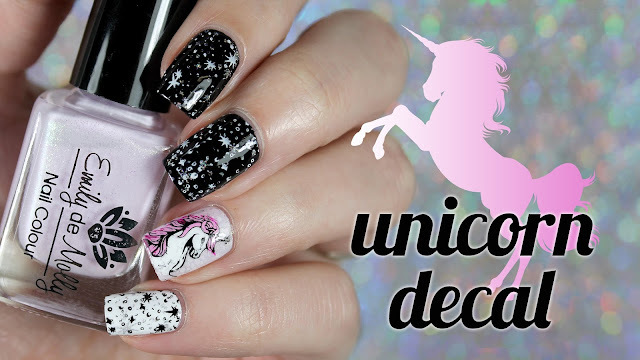 This one is a soft charcoal holo with holo glitter and a lightly metallic base. It is the perfect robot color, if you were in the market for one of those. I definitely feel a Cyberman manicure in my future. This polish applies like liquid satin, and I used just two thin coats + SV here. I bet that shorter nails and/or thicker coats could make this a one-coat-wonder. Oh. My. 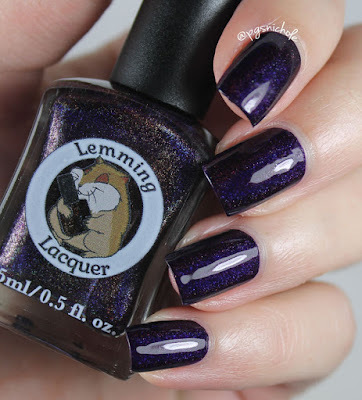 This is an inky, deep, ominous violet holo. I used one coat here. Even in my ridiculously bright lights, this shade is opaque. When she says Darkness, she ain't kidding. If there is a must-have in this collection, then I declare this to be it. This one is a delightful, dusty olive that I am loathe to call "olive drab"...but it is. It is like disco-rainbow olive drab. 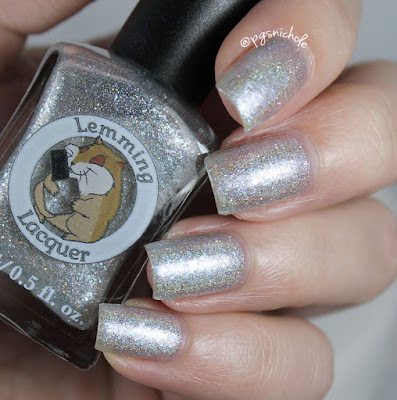 The holo is super strong and the base of this polish is gently metallic. This shade is very wearable, and I think it would make a great neutral shade in any collection. I used two thin coats + SV below. Long name, amazing result. This teal green holo bomb is packed with gold and holo glitter...and awesomeness. I used just two coats below, and it dried super smooth even before the layer of SV. This is the color of 2015. This cool toned deep olive is super holo and super wearable. This, for me, is another power color. It is relatively neutral, but bold and in charge all at the same time. I used two coats here, but I think I could probably do with a single coat for normal wear. What is a villain without a perfect hunter green? This is wicked witches, monsters, and things that go bump in the night all wrapped up in a holo bombastic blanket. This green, despite the collection is was born into, would be a great base for a Christmassy manicure...and 'tis the season (or so I'm told). This is super pigmented (and it has that special smell) and I only needed one single coat for these pictures. I wish the sun had been more cooperative for these, because the rainbow is really impressive. But we are getting some much-needed rain here in California, so I won't be complaining to seriously about having to use my flash to show that flare. There was a slight warning about staining with these, but I didn't experience anything too serious...even when I got straight polish on my skin. Your mileage may vary, but I got away clean from all of these shades...but I used a good base coat. These polishes will be available in the Lemming Lacquer shop, and there are surprises in store for folks on Black Friday. If nothing else, grab that inky violet goodness that is I'll Bring You Darkness...and maybe throw in the thermal, and the three greens...you know what? Just buy them all. You won't be sorry. Absolutely wonderful Nichole! I love that thermal shot of Gin & Poor Judgement, which I totally wasn't able to catch. Oh man, time for me to try a new brand!!!! Totally want Pan Never Fails, I'm a Difficult Man to Love and I'll Bring You Darkness! Insane how beautiful these all are. Thanks for sharing. I just reviewed my first Lemming Lacquers as well! I loved them! Beautiful polishes and swatches! Gorgeous swatches. 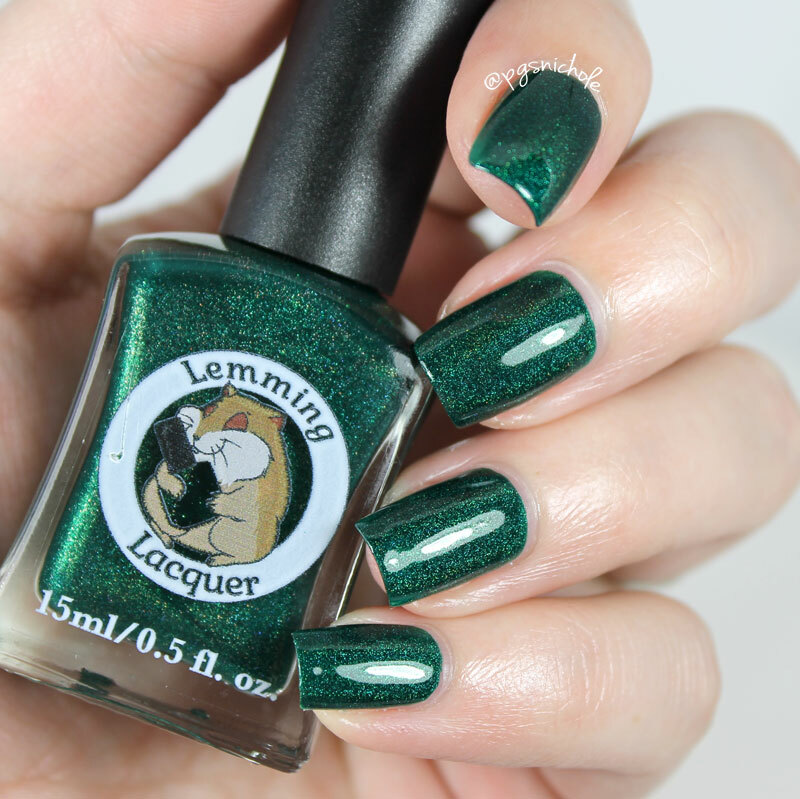 Lemming Lacquer is one of my fave indies. I loooove the colors!!!! Thanks for swatching! Gin & Poor Decisions. I'm dying over here. I kept thinking "this is my favorite! No wait! 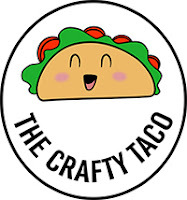 THIS is my favorite!". What can I say.. I just love vampy shades. Evil Isn't Born is my favorite! Such beautiful shades! I'm really feeling Gin & Poor Decisions! Love that it's a thermal, too! Pan Never Fails is incredible! Wowza! These polishes are stunning!! So much awesome here! Great review. Your swatches always slay me!! These are perfect on you! Beautiful polishes! I love your photos, btw!